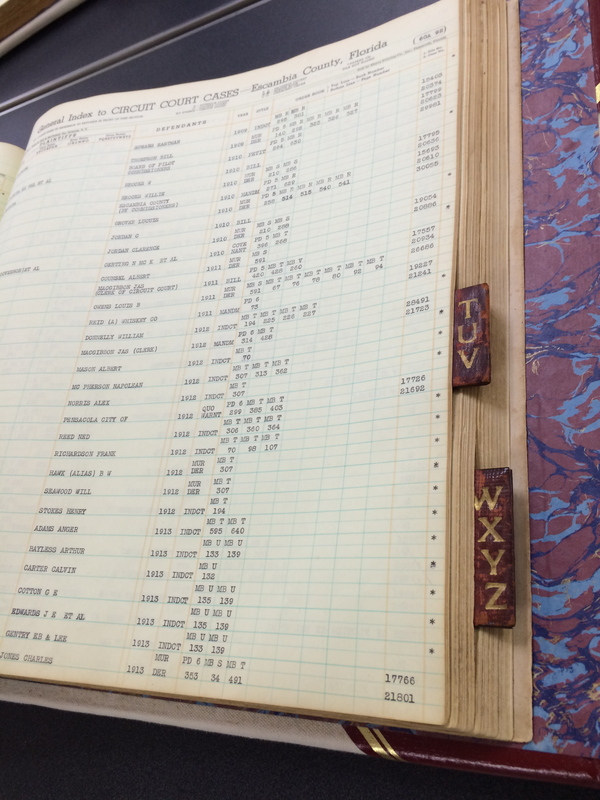 In Praise of County Courthouse Archivists – Tell my story. 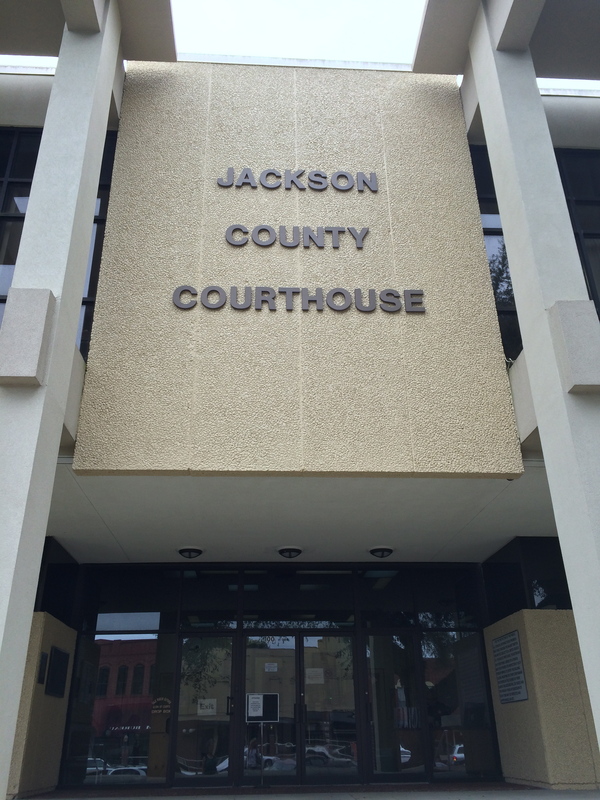 I spent most of last week in three different courthouse archives: Escambia, Santa Rosa, and Jackson Counties, Florida. I don’t have a favorite. They are all my favorites. Know why? It isn’t about the records. 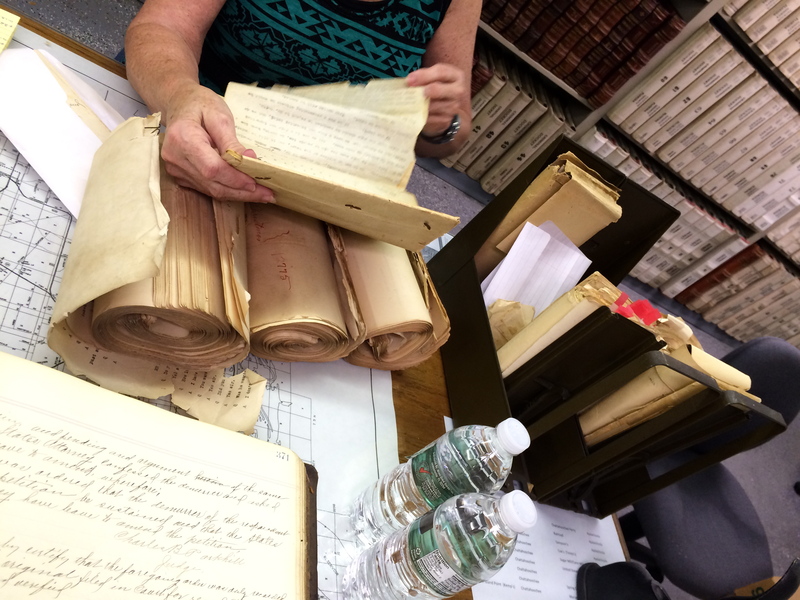 It’s about the archivists — the unsung heroes and heroines who care for ancient and important court records. They care for these ancient, well-handled books, mostly undigitized. 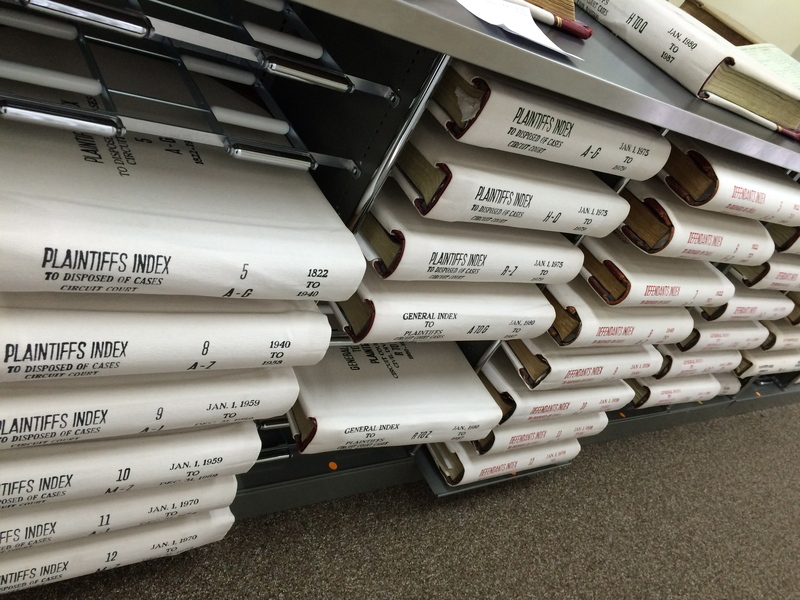 A small section of court records available at Escambia County Courthouse Archives. There’s no online ‘index.’ It is good old-fashioned, hands-on research. The records tell the story of who really runs things in county politics. The ladies I met, the keepers of the archives, are the people who know the interesting stories to read in the heavy court records from 100 years ago. I’d waited over a year to get into this building. If you recall, my first visit to Pensacola was the week after a hurricane hit, and the archive had sustained flooding and other damage. Thankfully, the records were fine. I spend the entire first day in the Escambia County Court Archive with my friend Nancy. We were on a quest for five specific trials featuring Emmett as prosecutor. In each of these five trials, Emmett reportedly gave eloquent, moving speeches to the juries. I wanted to read what he said, ‘hear’ how he spoke to juries, hear his speech patterns, if you will. The ‘starred’ list on the far right? That’s where Emmett’s case numbers were supposed to be listed. The documents for the specific cases aren’t available. Where are they? The mystery continues…. Nancy and I found it odd that the details about Emmett’s cases — the five cases I wanted to see were murders he was prosecuting — were not available. He prosecuted the cases. We have the records of the outcome. But what about the testimony itself? What about the stenographer’s notes? If you hang out all day with archivists, and talk to them about what your research is about, you’ll find empathy for the hard search that is hands-on research, and, great suggestions if what you need cannot be found or is not readily available — which is what they gave us. One suggestion was to go to the federal courthouse downtown. Another was that one of the murder cases may not have been tried in Escambia, but in another jurisdiction — something that was not made clear in the newspaper report about one of the cases. We came out of the archives with oratory for a few smaller cases, plus other valuable information about Emmett as a prosecutor. We also left having made friends with the ladies of the Escambia County Court Archive. They asked us to stay in touch with them, because one never knew — they may come across something of interest. One of the murder cases Nancy and I continued to discuss the next day piqued our interests. The ladies at the Escambia Archive had suggested that because the name of the defendant Emmett was prosecuting was prominent in Florida politics — and a name still prominent today — it was possible that the case was sealed. “Or,” Nancy said, “maybe it was tried in the next county. Did Emmett prosecute a lot of cases in Santa Rosa?” He did, I said. We knew the name of the murdered defendant — we looked it up, and sure enough, the guy was buried in Milton, Florida — the seat of Santa Rosa County! We looked at a map — we were only 20 miles away, and decided to go for it! Santa Rosa County Court Archives. 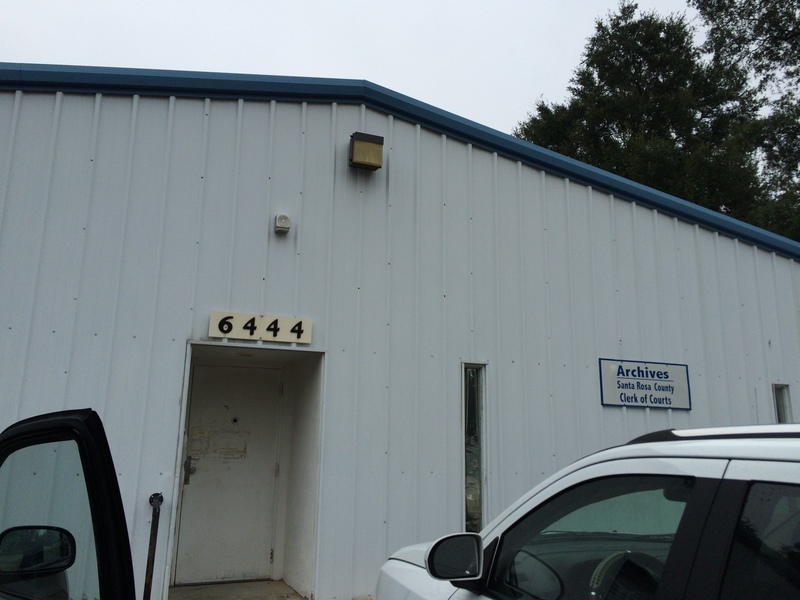 A nondescript building with a lot of valuable information within; also, wonderful archivists happy to assist researchers. When we came in, we were greeted by two pleasant women, Susan and Margaret, who had me fill out a research request form, and check my identification as a matter of record. When I told them what I was looking for — they knew immediately what I was talking about. I could barely contain my giddiness. “Do tell,” we said. And they did. And they pulled up the electronic file of the 113-year-old case. And there was Emmett’s name all over the document. No courtroom oratory, alas, but a lot of useful information. On a whim, I asked about another case that had stumped me, that I knew originated in Santa Rosa County involving Frank Penton, who Emmett tried for murder, and who later became sheriff of Escambia County. Is it appropriate to hug an archivist? Well, I did. She just laughed, retired to the store room, and brought me several county archival books. “We aim to please,” she said, pleasantly. Another case of reading through the books page-by-page, but it was worth it! When I finished up, we got the grand tour of the store room — I worry about the books stored there. The building itself doesn’t strike you as permanent when you see it, and in fact, the archive was supposed to move into a more solid facility 10 years ago. We were told that was still the plan, whenever funding gets approved. Sue Tindel, the Jackson County Court Archivist, is one in a million. She’s also someone I’d been corresponding with regularly over a year, and so, when I met her, I’d felt like we’d been friends for a long time. Obviously, not the original courthouse where Emmett and Cephas worked; but, the current courthouse is on the original site. Sue is a fantastic lady. She’s funny, she’s interesting, and she loves history. I was immediately comfortable with her; Sue is the kind of person who, clearly, loves what she does. The documents in the archive are more than simple information resources to her; they are the history of Marianna, all original documents, and I don’t think people realize that. There are so many interesting stories to be found here. Original court case documents from one of Cephas’ cases. Most of the records here featured Cephas rather than Emmett, since Emmett was such a junior lawyer when he lived here. In addition to working all afternoon with her — she gladly sat at a table with me for several hours as we both read through minutes books — she gave me a personalized tour of downtown Marianna. Sue had located where Cephas Love Wilson’s house was back in 1900 (when Emmett lived with him), as well as Ceph’s original office, and his second office, which he built in 1910 (and still standing today). Cephas built the red brick building, directly across the street from the Courthouse, in 1910. Emmett was not living in Marianna at that time, but, he would have come to Ceph’s office. 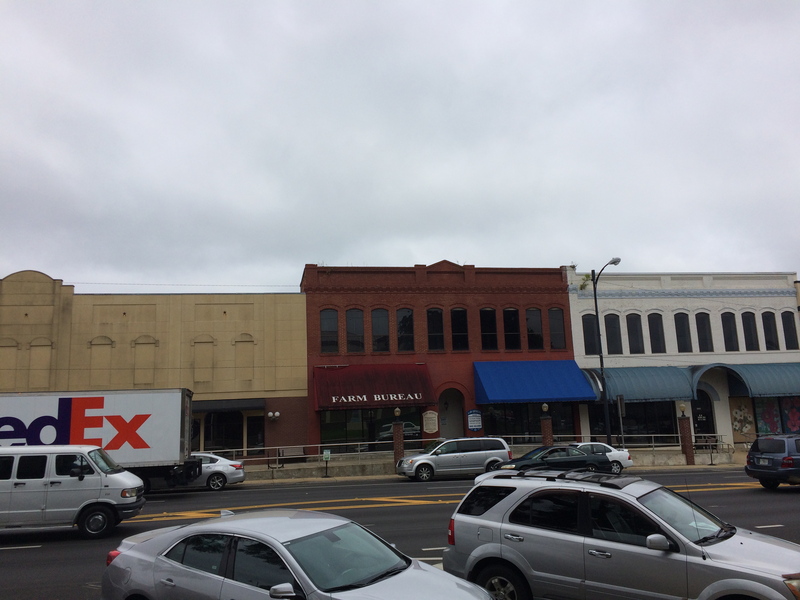 Ceph’s law office was on the top floor, right. 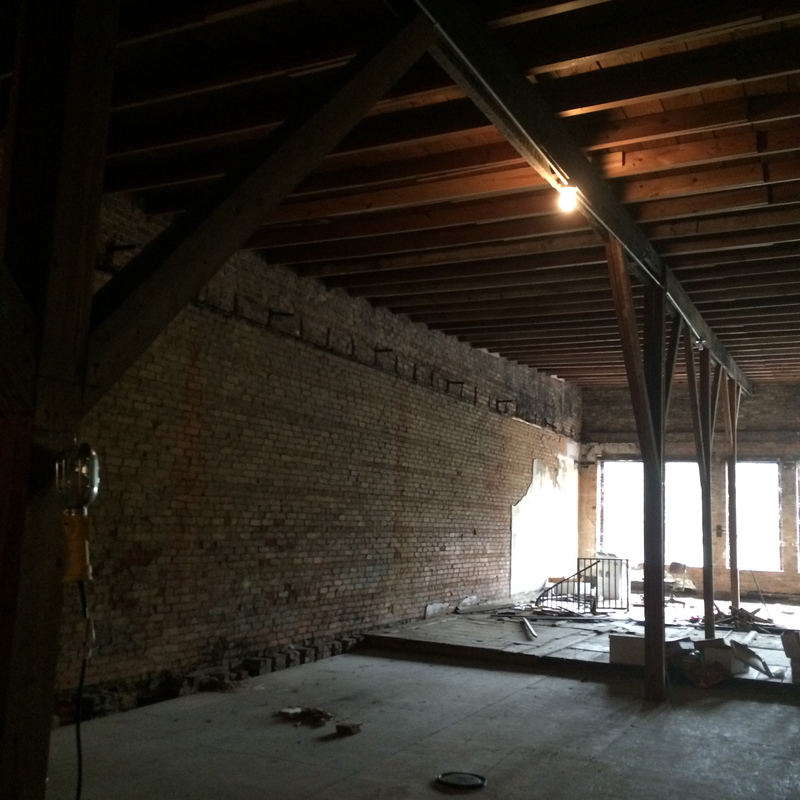 The bottom floor was a hardware store. The corner windows where Ceph’s office was located. He and Emmett would have looked out the windows at the Courthouse across the street, probably while waiting for juries to reach decisions. Sue took me to St. Luke’s Episcopal Church (where Cephas is buried). This is not the same church the Wilsons attended back in the day; that one burned down in the 1940s, and was rebuilt. However, there is a plaque commemorating Ceph’s membership. 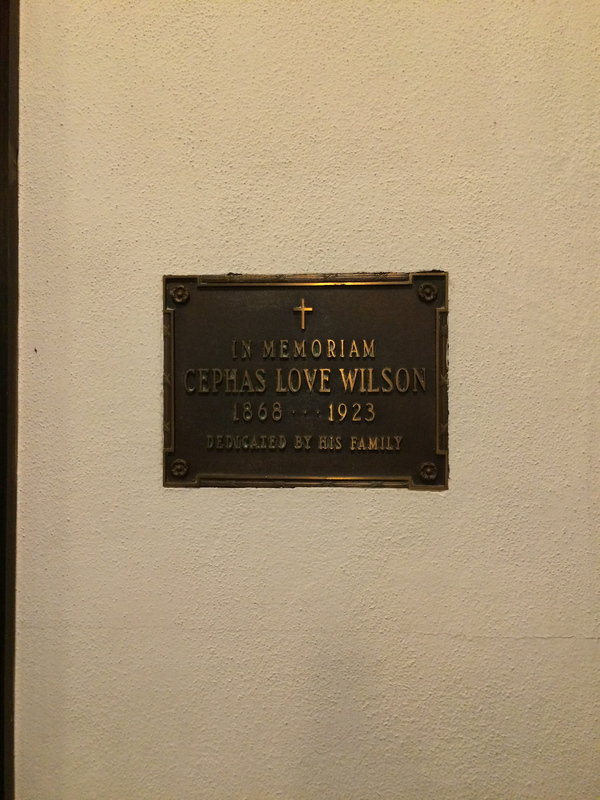 Ceph’s plaque in St. Luke’s Episcopal Church, Marianna. Sue spent the entire day with me. I learned so much about Marianna in the early 1900s, but what’s more, is that I got a real feel for what it must have been like for Emmett to live there. Marianna is a lovely place. The people are friendly to strangers; they are happy to answer questions about the history and love to share interesting details — even ghost stories — about some of the mansions located along Lafayette Street. 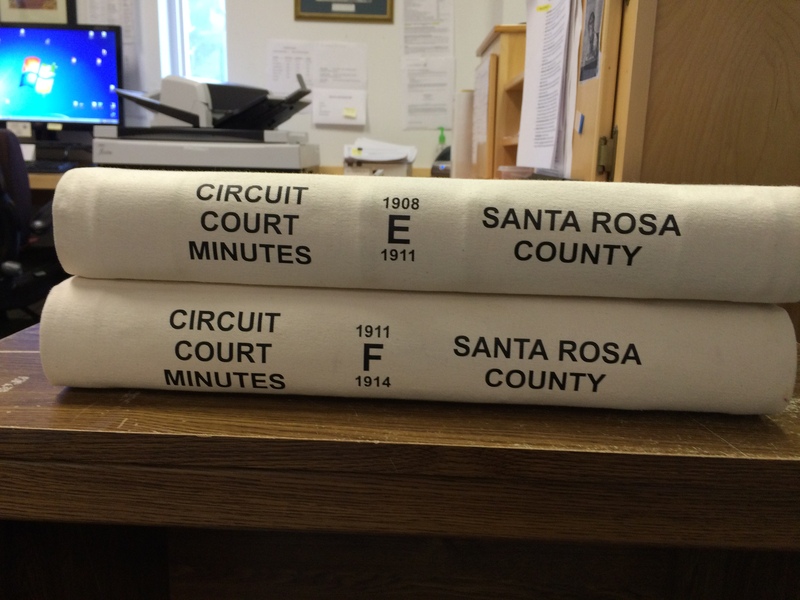 In sum: Three different county court archives. Hundreds of pages read and photographed. Lots of great new information. But most important, many new friends. My heartfelt thanks and appreciation to all of the archivists I worked with on this trip. Pingback: New-to-me background on U.S. vs. Penton – Tell my story.